All of these can be an enjoyable part of experiencing life. That is until back pain arrives. Enter the Desk Bound Problem! That joy can be disrupted dramatically when you have an ongoing, niggling pain developing in your lower back area. You get up in the morning and feel it tighten with every slight movement of your torso. You go to make a coffee at work and suddenly reminded of it by a sudden jolt of pain shooting into your back, maybe down your leg as well. Your partner is immersed in a movie but you just can’t get comfortable as a result of being unable to find a position where it doesn’t ache! 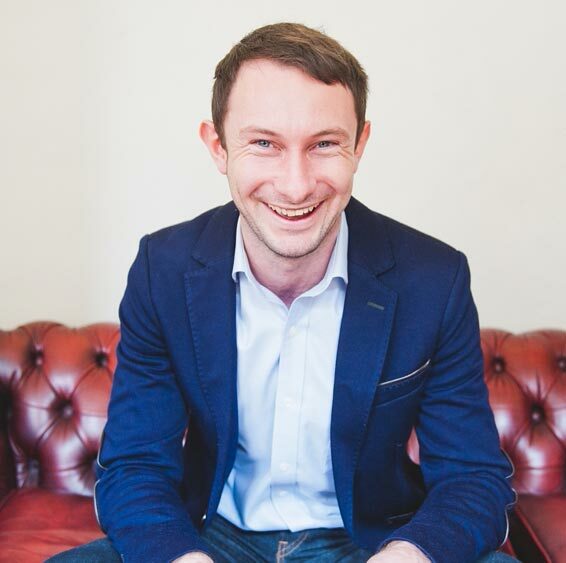 Through working with a vast number of desk bound professionals, I can safely say you are not alone. According to the Office of National Statistics (ONS), the most common cause of workplace sickness is neck & back pain. Similarly, each year back pain costs the NHS around £481 million a year. In the US, the problem is even more costly with some estimating the cost as upward of $100 billion. With stats like these it would be easy to conclude back pain is here to stay and it is only going to get worse. 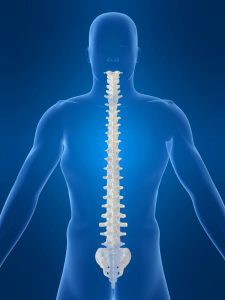 However, in this article I am going to show you a simple 5 minute routine you can do to DRAMATICALLY reduces your chances of being inconvenienced with regular back pain. Before I show you though, it is important to start off by looking at why you get back pain. If you ask people why you get back pain, the common answers would range from “part of the aging process” to “just one of those things”. Luckily, both these reasons are wrong and by understanding the process BEFORE back pain, you can begin to see what to do in order to eliminate it from your life. 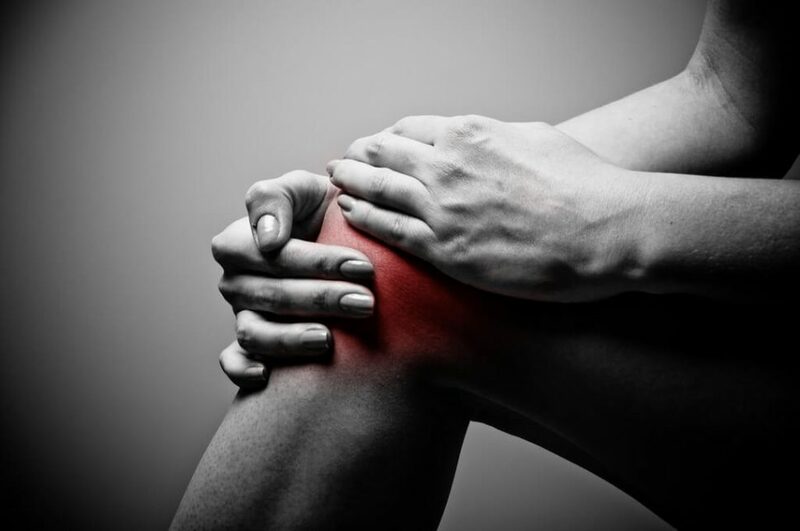 When you look at a human body, certain joints function for mobility, the ankle joint for example, whilst other joints function for stability, such as your knee joint. When these functions deviate (such as when you develop stiff ankles so there is less range of motion) other areas have to compensate, namely the joints designed for stability. 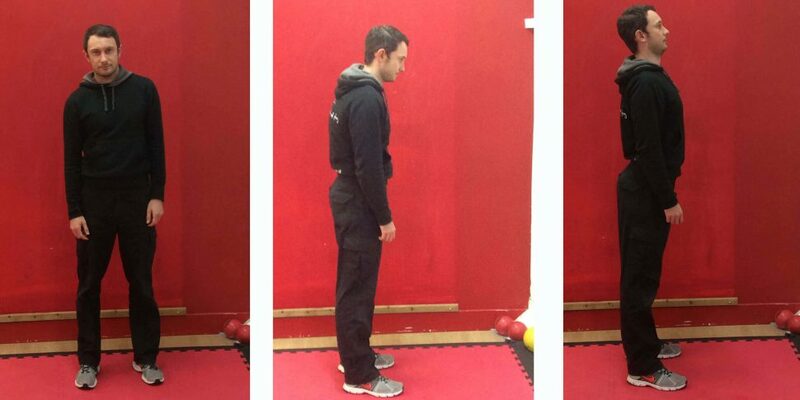 To give you an example, Your hip joint functions for mobility. 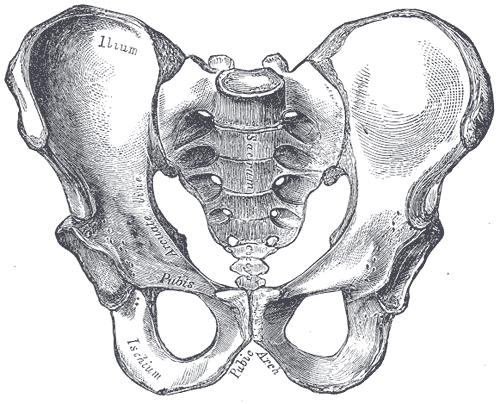 When you pick up a box, your hip should go into what is known as hip flexion. 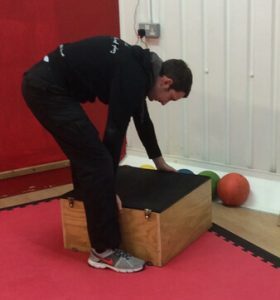 If you have great hip flexion, you should be able to get low enough to pick up a box whilst keeping your back straight. 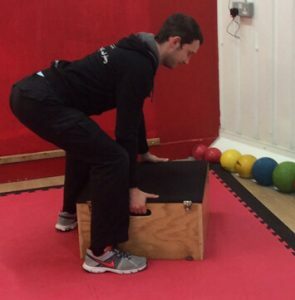 However if you have developed a stiffness in your hips, it can result in your lower lumbar spine (which is supposed to be stable & not bend) bending and taking the load of the box…Initiate painful back twinge! When Joints that function for stability are able to stabilise and joints that function for mobility are able to move, this allows the right muscles to activate at the right time. Problems relating to back pain (and any other joint pain for that matter) arise when your body deviates from correct posture & function. 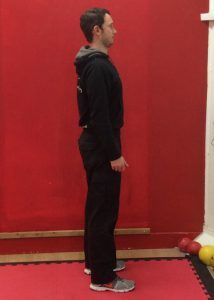 When poor posture continues, it allows movement patterns to occur that compensate for the weaknesses in other body parts, i.e tightness in your hip (that is supposed to allow for a lot of movement) means excessive movement in your lower lumbar spine (that is supposed to allow very little movement). When this happens, muscles that are supposed to activate during a movement become ‘lazy’ and fail to do their job. As an analogy, imagine you have a factory where a line of workers all work together to produce a strawberry tart. The first worker has the important job of forming the pastry, the next worker arranges the cream and the final worker arranges the strawberries. Each worker provides a vital job but what happens if the first worker gets lazy? It means the second worker either has to do 2 jobs or he has no choice but to arrange the cream on a base that contains no pastry! So what happens when you sit down all day at work? Not just at work, what about on your way to work and when you are sat down relaxing at home? >Your head, supposed to remain above your shoulders, protrudes forward focussing intently on the computer screen. >Your hips, supposed to experience flexion AND extension continuously, adopts predominantly a flexed position as you sit down creating tight hip flexors, weak glutes (backside muscles) & disproportionately stronger quads (getting up and down from seat) compared to hamstrings. >Your Ankles, supposed to experience flexion (dorsi flexion) & extension (plantar) continuously, stay fixed and immobile as you sit. The one factor you have to understand is, your body is extremely adaptable. It can continue in poor posture and move in problematic ways for a LONG time before you experience the pain that prompts you to get help. This is known as the concept of ‘creeping’ where your body doesn’t suddenly develop a protruding head, Slouched back & tight hips; it ‘creeps’ into that posture. When this happens, the body compensates and over time you develop stiffness, where your only inkling that something’s wrong is when you experience pain. It is natural at some point in our lives to experience back pain. What is not natural is to regularly experience pain or for it to become chronic (pain lasting more than 12 weeks). Yet, the way our lives are set up with mostly sedentary jobs and modes of transport it is a breeding ground for developing back problems. This is why it is important you have a protocol to counteract the effects of modern day living. You brush your teeth to prevent against tooth decay, you need a daily maintenance programme to prevent back pain. Your spine can take a lot. According to Spinal expert Dr Stuart McGill, it takes 12000-15000N of compression pressure to buckle a spine. To give you an idea, it takes around 3000N for a Karate expert to break a brick. Your Lower spine (Lumbar) is designed to be stable and needs help doing so. Your upper back (Thoracic) is designed to have more mobility. As a baby sleeps you’ll see their belly expand as they breath in. This is an example of diaphragmatic breathing. Problems arise when we get older and start to breathe in a different way. Do this simple exercise; Place one hand over your chest and another over your belly button. Now take a deep inhalation and breathe out. What hand moved? If you are like most people I work with who have back pain, you’ll find your chest hand move but your belly hand didn’t. You want this the other way round. 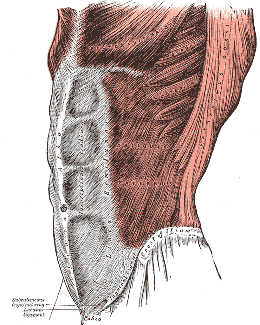 When you breath in and the diaphragm expands, it contracts and increases pressure within the intra-abdominals. This process (along with a helping hand from the abdominal & spinal muscles) helps stiffen the lumbar spine, stabilising it. Without this process, whether you are lifting something or sitting down you increase the likelihood of your lower back bending, putting more pressure & muscular tension in this area. Your backside is the biggest muscle of your body. They have a pretty important function, namely hip extension (moving leg back), as well as internal & external rotation of your femur in movement. They get pretty apathetic when you sit on them for long periods of time, meaning other neighbouring muscles (namely the hamstrings & quads) have to work harder. 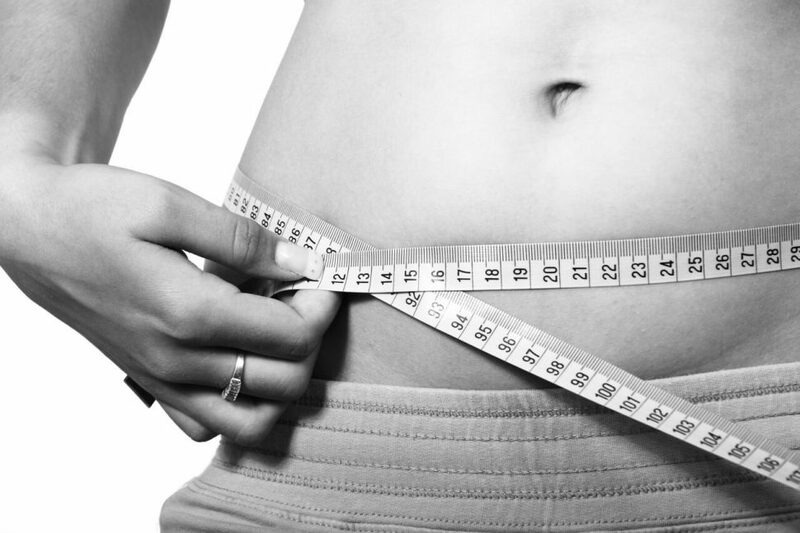 Your body is a chain reaction; when one area is slacking, other areas get over or underactive. This creates an environment for pain. This is why it is so important to make sure your glutes are firing on all cylinders. Sitting down for long periods makes them weak and underactive. Considering it is the biggest muscle in the body you can imagine the sh%t storm it creates to other areas like the back. One thing I always say to my clients is, if you experience pain in your body look at what is happening above and below the point of pain. When you have back pain, it is very common to experience limited mobility in the hip and thoracic area. These areas are supposed to enable a lot of movement. Yet let’s take the common sitting position as an example. 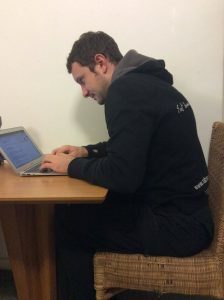 For starters, it is common for people to sit for an extended time in a position that is hip flexion. Secondly it is very likely you will be slouched a little, so your thoracic spine will be in flexion and you will tend to be doing something with your hands like typing which promotes internal rotation of your shoulders, ‘pulling’ your thoracic spine forward more. Another factor that can contribute to back pain is a pelvic tilt. This is where you experience a large forward tilt in your lower back, creating excess pressure as your spinal muscles (erector spinae muscles) get tight. One aspect of a pelvic tilt is weak abdominals. I mentioned earlier about the power of diaphragmatic breathing in stabilising the spine. What aids the stabilisation is a strong abdominal area including the Rectus abdominis, transverse abdominis and external obliques. 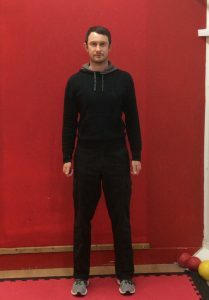 When the two work together you can recruit what is known as ‘bracing’, where you breath out your diaphragm then tense & stiffen your abs as you perform a movement (i.e. lifting a box off the floor). The stronger your abs, the more effective your ‘bracing’ action can stiffen the spine to limit excess pressure on your back whilst moving. For this routine to have any effect, it must be done regularly. Daily if possible, every other day at the most. I would recommend you do it everyday for 30 days and then notice the difference it has made to reduction of back pain and how your body feels. Lie on your back & drive your lower back into the floor so you can get your hand through. 30 seconds: Same as the first 30 seconds but this time at 4 seconds ‘brace’ by tensing your abs. Hold for 2 seconds then exhale. Foam roll to roll your glutes (Backside) , IT bands (along the outside of your thighs), Adductors (along the inside of your thighs) and upper back (Thoracic). Back pain can range from annoying to debilitating. But it can be reduced and even in some cases eradicated. Perform the 5 minute routine for the next 30 days and see how much better you can feel and regain control of your body. 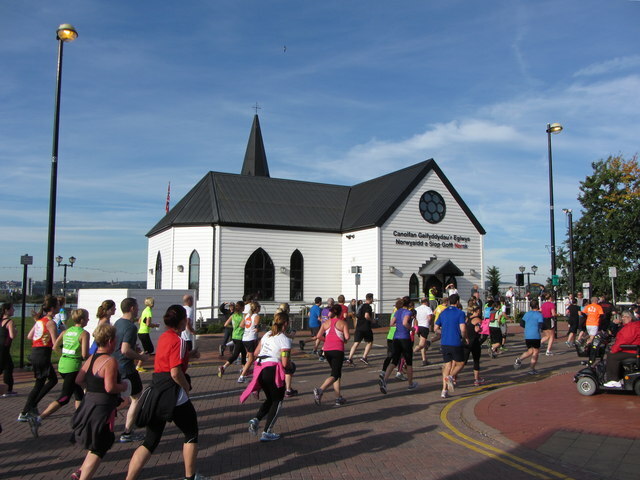 How Fit & Healthy Is Cardiff?